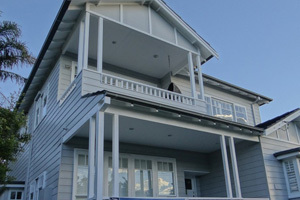 Advanced Colour City is one of the premium residential house painting services North Sydney Company. We have been serving as residential exterior home painters in North Sydney for many years, and it gives the extreme pleasure to make homeowners fall in love with their homes all over again. When it comes to residential home painting, we offer complete solutions to our valued clients. Starting from choosing the paints and colors of their liking and according to their budgets, we implement the project plan in a very methodical manner. We understand how frustrating and inconvenient it can be to the homeowners, if their painting contractors take forever to complete the projects. As one of the best residential house painting services in North Sydney, we always make an attempt to make your house painting job as stress free and quick as possible. You will be truly glad that you made the decision of hiring us for your residential painting job.